Eloise ....Sparkly Black. 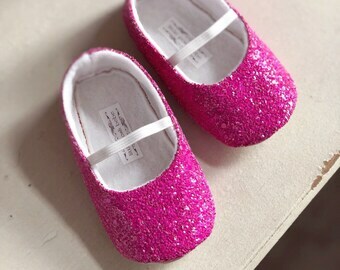 Gold, Silver, Pink Glitter Ballerina Style Shoes! 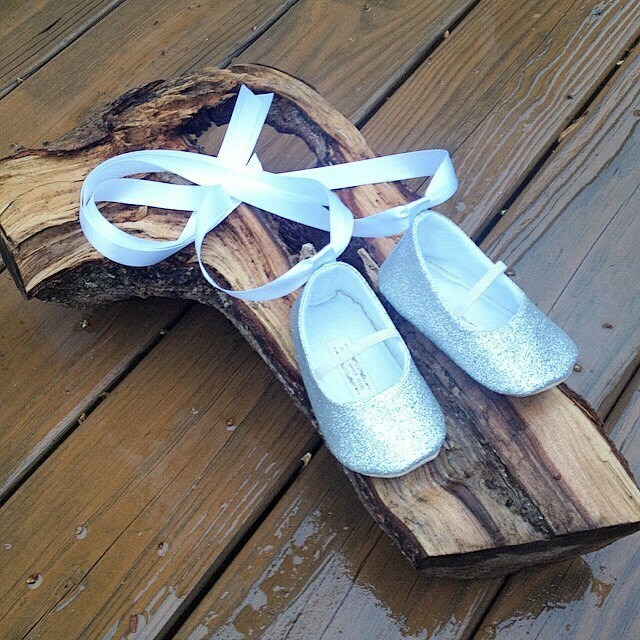 I use a rubber, non-slip, waterproof flexible soles for Babies and Toddlers! If adding elastic.. The sliver is white, gold is cream, and black is black, and light pink is white elastic... If you need to change that color please contact me before ordering. Thank you! I ordered two pairs, one with elastic, one with out for my step daughter and god daughter. They came exactly as pictured, made very well too! They also arrived in time for my wedding reception ! I Would def. recommend to anyone!!! Thank you!